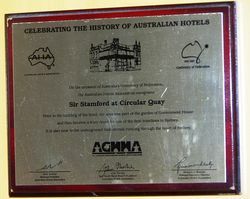 A plaque commemorates the Centenary of the Federation of the Australian colonies in January 1901, and recognises the Sir Stamford Hotel. 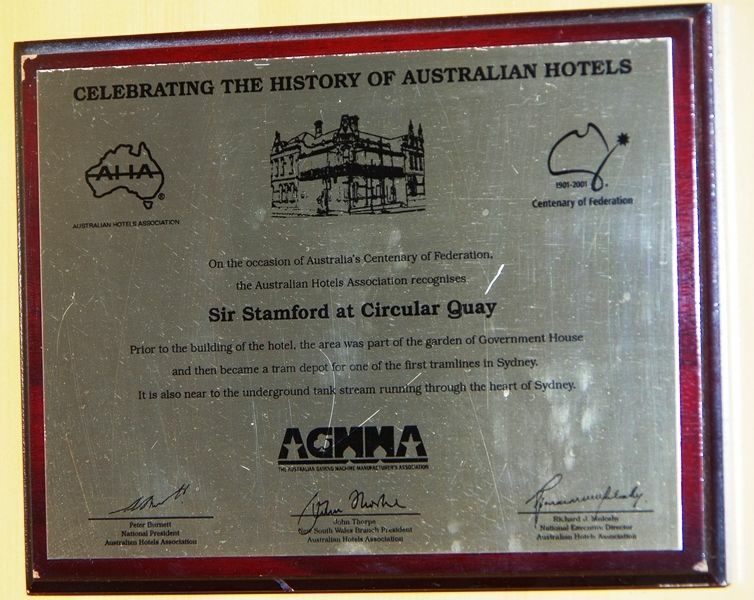 Prior to the building of the hotel, the area was part of the garden of Government House and then became a tram depot for one of the first tramlines in Sydney. 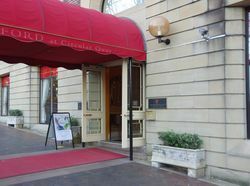 It is also near to the underground tank stream running through the heart of Sydney.